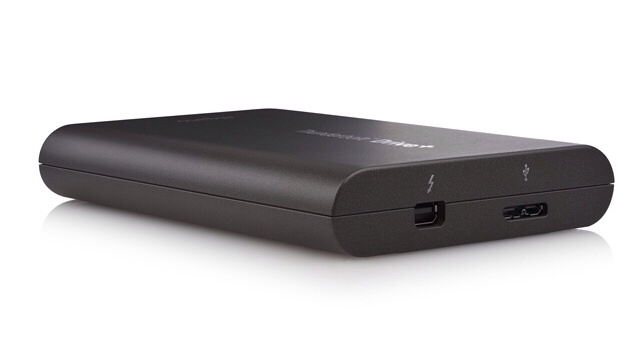 Elgato has unveiled Thunderbolt Drive+, a fast and ultra-portable SSD that features Thunderbolt and USB 3.0 support. By combining server-grade Plextor SSD technology, bus-powered operation, and a rock-solid metal enclosure, Elgato Thunderbolt Drive+ outperforms other external drives without compromising on mobility. Elgato Thunderbolt Drive+ utilises a Solid State Drive (SSD) to store data at transfer speeds of up to 420 MB/s, dramatically outperforming other portable drives. It relies on Plextor True Speed technology and server-grade controller chips to guarantee sustained high performance. High-quality flash chips and custom firmware provide the lowest average annualised failure rate (AFR) in the industry. 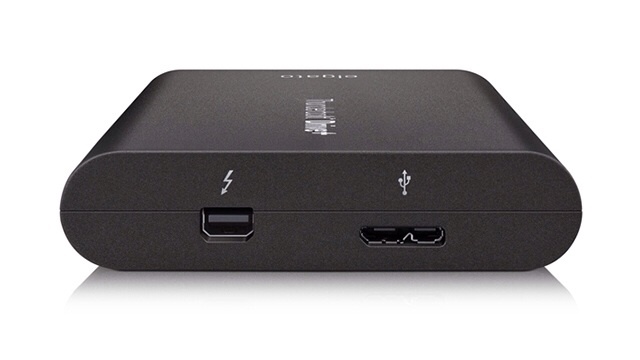 Elgato Thunderbolt Drive+ is engineered to draw power directly from a single Thunderbolt or USB port. This way, users can always access their data, even when they’re not near a power source. The backward compatible USB 3.0 port ensures that Thunderbolt Drive+ works with virtually any Mac or PC. Due to its metal enclosure and lack of moving mechanical parts, Thunderbolt Drive+ is far less prone to accidental damage than traditional external drives. No dust particle can reach the inside, and even splashes of liquid won’t damage your files. · Elgato Thunderbolt Drive+ unites the most advanced storage technology in a revolutionary high-speed solution. With a server-grade Plextor Solid State Drive, a dust and water protected metal enclosure and Thunderbolt and USB connectivity, it’s the perfect storage solution when you’re on the go. 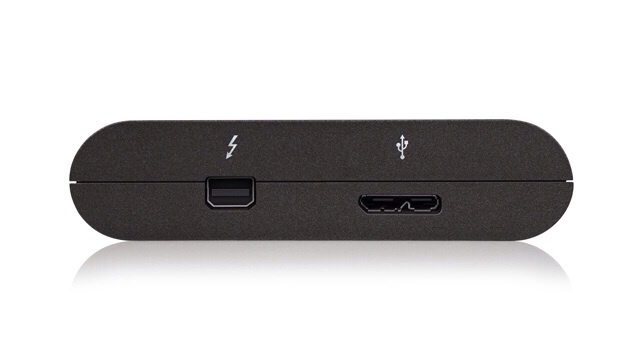 · Interfaces: Thunderbolt, USB 3.0 (USB 2.0 compatible). Does not require a separate power supply. · System Requirements: Mac with OS X 10.6.8 or later, Thunderbolt, USB 3.0 or USB 2.0 port; PC with Windows 7 or later, Thunderbolt, USB 3.0 or USB 2.0 port (Elgato Thunderbolt Drive+ is preformatted as a HFS+ Mac drive and can be easily reformatted for use with Windows PCs). Thunderbolt Drive+ is available from Elgato (http://www.elgato.com), Amazon and selected resellers for £429.95 (256 GB) and £759.95 (512 GB). 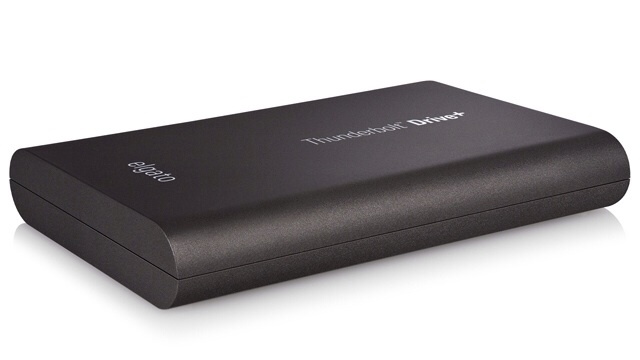 Also available from Elgato is Thunderbolt SSD, a high-speed drive starting at £179.95 (120 GB).